If you are looking for simple ways to save money then you have come to the right place. Saving doesn’t have to be hard and this post will who you the easiest most painless way to save big! It’s no secret, I am cheap….although I do prefer the term “thrifty” still the word cheap does not offend me. I think the meaning of the word has changed over the years and those of us that have been given that label should wear it with pride. You see, I work really hard for my money and to just toss it out the window frustrates me. Needless to say, I am always looking for ways to save a penny. Yep, even the pennies matter to me. You know why? Because it just takes 100 of those pennies to make a dollar and those dollars add up quick. Especially if you are letting them slip through your fingers. There are easy ways to save pennies and there are hard ways. This, my friends, is an easy way. A simple way to save money every single day. You’ve heard the saying less is more, well there is a lot of truth in that. If you can extend the life of products you purchase and use on a daily or weekly basis with little or no effort, would you be interested? I am sure you would. I cannot tell you how I used to go about my day using cleaning and personal products without thinking twice about the amount I was using. It’s crazy to think that as you are washing your hands with liquid soap, half of it is going down the drain without even being used. Then one day it hit me, would I get the same result if I used less? And if I did, now much less could I use and still get the same results. Simple ways to save money. I started with my laundry because let’s face it detergent is expensive. I used to fill the detergent lid up to the line with the amount the company recommended. I soon found out I could use half of that amount with the same results. The same was true with the liquid fabric softener. I tried using just half and the clothes were still soft and smelled great. Wait, what about my fabric softener sheets?? Yep, you guessed it, my clothes came out just as soft with half a sheet as they did with a full sheet. That one experiment just DOUBLED the life of those three products and saved me a nice chunk of change. Ninja tip: Take things one step further and eliminate fabric softener all together. White vinegar works just as well and cost a fraction of the amount. Next was my shower. Would my hair still be clean and shiny with half the amount of shampoo and conditioner?? Actually, I was able to use less than half the amount of shampoo and half the amount of conditioner and still got great results! The same is true with my shower gel. I used to pour it all over my bath sponge not thinking twice about how much was going down the drain. Just a little dab will do the trick here as well. Finally, What about toothpaste? I was totally guilty of filling my brush end to end. Now, I know I only need a small amount and my teeth feel just as clean and fresh as before. And my dentists was none the wiser at my next checkup. I am not a fan of the cleaning pods and after reading this post you may just understand why. When you are stuck with the manufacturers set product amount you cannot use less to save more. Because of this, I tend to use generic detergent in the pouring form. I have found that as long as I pre-rinse my dishes I can get away with just half of the dishwasher detergent and still have clean dishes. Next, instead of using Jetdry I opt to use white vinegar instead and my dishes are still sparkly. Ninja tip: Please use vinegar with caution. I have never had a problem but some folks have found that is has taken the finish off of their dishes. Be aware of this before giving it a try. 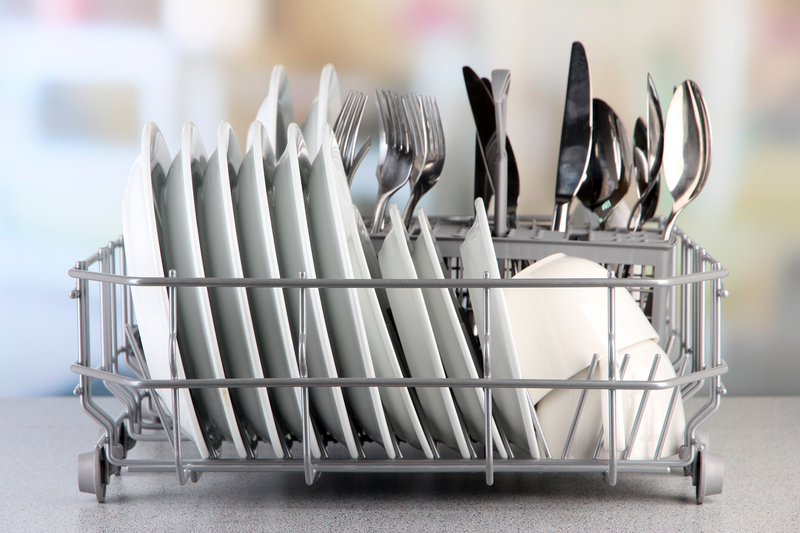 Finally, let your dishes air dry rather than using the costly heated dry option on your dishwasher. Simply set the timer when you begin washing as a reminder of when your dishes are done. Then all you need to do is open the door and let the air dry your dishes off for you. Potential savings $4.90 a month or $59/year. 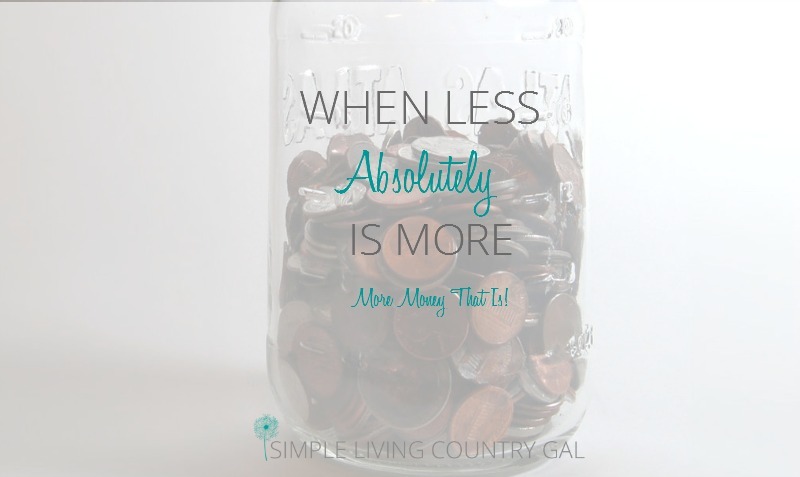 There you have it my tried and true tips for using less to save more. Some money saving tricks can be a hassle to do that is why I love this tip because it is a simple way to save money. Money you can keep where you want it….IN YOUR POCKET! Want more? You can find all of my Money Saving posts here!